Doktor Gurson is the CEO of Doblet. Jeff Chang is the CTO of Doblet. Battery life is one of the most vexing problems in mobile tech. Indeed, Smartphone users consistently rate battery life as their No. 1 gripe. Consumers want better batteries, not wearables. So Apple’s recent announcement isn’t that surprising: iOS 9 will have a Low Power mode, which could provide an extra three hours of battery life. But that doesn’t solve the battery life problem. Why? Mobile apps and operating systems’ power usage continues to rise, outpacing the gradual improvements in battery capacity. Since the first iPhone in 2007, net battery life as measured by iPhone standby time has remained flat, and you’ll notice that the vast majority of us are charging our phones more often than we did with our first smartphone. So far as we can tell, this trend will continue for the foreseeable future across all phone platforms. We watch more videos, play games, listen to podcasts, allow multiple apps to track our location, use Bluetooth-enabled accessories and wearables and keep dozens of apps open at the same time — all of these actions drain more power. Our phones’ lithium ion batteries are typically rated only to recharge 300-500 times, and lose capacity as they age. Keeping those batteries charged is key for the entire mobile ecosystem: from suppliers and manufacturers, all the way to app developers and mobile commerce startups. That’s where wireless power comes in. Manufacturers are sensing the demand. Global revenues for wireless power transmitters and receivers are expected to rise past $12 billion by 2020, up from $750 million this past year. And the reach of wireless power goes well beyond smartphones — it includes every bit of portable or embedded technology we’re about to add to our world. Wireless signal will manage both data and power, connecting the 50 billion devices that Cisco expects in the Internet of Things (IoT). At CES this year, Cisco CEO John Chambers predicted a $19 trillion market size for the Internet of Everything (IoE) within 5 years. And market research firm Gartner anticipates a $300 billion services market to support the IoE boom. When technology’s finally good enough that it can get out of the way, that’s when it starts to change people’s lives for the better. But wireless power is a broad term, covering a range of technologies — a lot depends on both where it’s available and how well it actually works. At the moment, we’re struggling with both questions, because only two varieties of the same inductive coupling technology are commercially available, with a practical charging range of up to 4 inches for phones. Long-term, we all want continuous wireless charging in cafes, restaurants, bars, hotels, offices, airports, gyms, stadiums and yes, even Uber and Lyft cars and public parks. Never stop your day to “charge” again — your devices will be charging automatically everywhere you go. The question is: How and when do we get from here to there? And which combination of technologies will be needed? (For example, none of the technologies currently in development can successfully power large outdoor spaces). Let’s check on the state of wireless charging tech, including which ones might pan out over the next few years. There are many technical, regulatory and marketing challenges to overcome. But hopefully, we’ll render power cords and battery charging cases obsolete in the next 10-15 years. 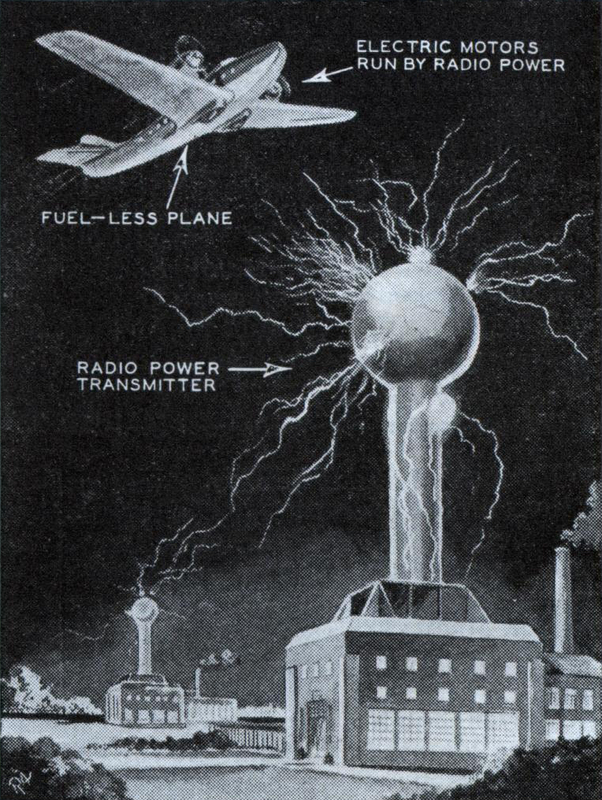 Inductive power transfer has been around since the 1800s. It was first patented to wirelessly power railroad trains in 1892, and it’s the tech that powers electric toothbrushes today. The Wireless Power Consortium (WPC), with its Qi inductive power standard, was founded in 2008, and is still the most popular charging coil among manufacturers. Qi coils are built into phones from brands like LG, HTC, Motorola and Sony. Ikea recently announced a full line of furniture with Qi coils built in. Historically, Qi is based on simple inductive coupling, which means it has very little range. Just like the electric toothbrush, the phone’s coil has to rest directly on top of the charging coil for it to work. Advances depend on magnetic resonance, the most typical means of tightly coupling coils. This allows efficient power transfer over greater distances. Powermat, founded in 2006, was one of the earliest wireless charging startups to use inductive coupling for phones. Its first products came in 2009, and it formed the Power Matters Alliance (PMA) with P&G in 2012, of which Starbucks and AT&T are also board members. After 9 years, Powermat has rolled out its coil dongles across several hundred Starbucks in the U.S. and London. But the dongles must be near-perfectly aligned on the charging circles (within ~ 1 cm), and installation costs per venue remain rather prohibitive. For all practical purposes, the phones might as well be plugged in with cables. Actually, if they were just plugged in, it’d be far easier to use your phone and talk on it while charging. Another early startup in this space is WiTricity, founded in 2007. It was spun out of MIT from an advanced variety of resonant inductive coupling, with a range of up to 8 feet, though this distance has proven very hard to commercialize. WiTricity can wirelessly charge electric vehicles at a range of 1-2 feet, using sufficiently large coils; this is currently being brought to market. Recent demos have also charged phones at a distance of 2-4 inches. However, if we want to charge our phones automatically at an ideal range of 4 feet (say, the typical distance of a phone from the ground), it’d require innumerable 1-foot coils embedded underfoot and smaller coils embedded within phones. We’d see energy losses of well over 95 percent, and the installation costs would be astronomical. It’s tough to make this a solution for continuous charging, though with more years of R&D, efficiency will gradually rise. In 2013, WiTricity joined a competing standard, the Alliance 4 Wireless Power (A4WP), which counts Qualcomm and Samsung among its members. PMA and A4WP merged standards in 2014, adopting the resonance standards from A4WP and the open network API from PMA. The two standards groups fully merged earlier this year. In the past three years, Qi has also started to incorporate a resonant inductive coupling mode, though it’s up to manufacturers to adopt this as they see fit. The first dual-mode PMA/Qi chips came out early last year, and phones like the Samsung S6 support both standards. Radio frequency (RF) includes a wide spectrum of electromagnetic waves. Most RF startups in wireless charging, however, focus on the 2.4GHz and 5.8GHz ISM bands, since these ISM bands can be used without a license. On a historical note, our 2.4GHz standard exists mainly because consumer microwave ovens operate at 2.45GHz — all the RF used in wireless charging is microwave radiation. There are a variety of interesting RF startups, many of which attempt to piggyback on wireless routers, since these also tend to operate at 2.4GHz. 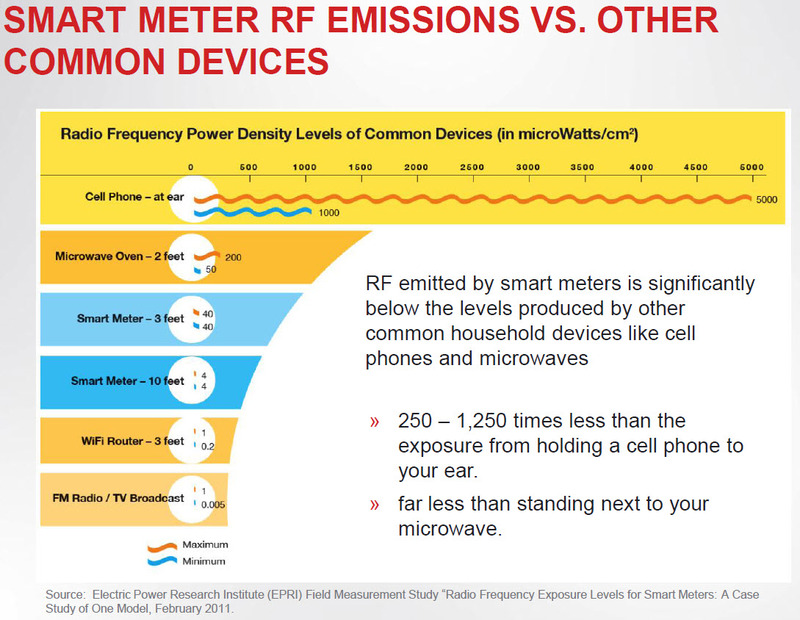 But the amount of RF emission exposure from a standard wireless router is miniscule (5000 times less than holding a cell phone to your ear, per EPRI field studies in 2011). RF charging isn’t hard to demonstrate. It’s largely based on existing technologies and variations on the transceivers in cell towers and radar installations. It uses algorithms to dynamically adjust the paths to the receiver. However, the amount of energy transmitted through the air is incredible, at least 30 times beyond the FCC’s current guidelines for safety. Even if the transmitters were 100 percent efficient, installing one would be the equivalent of putting 1-3 cell towers in your room. As long as you have one within 15 feet, it’s enough to charge your phone automatically and continuously. But in such a world, we’d all reside a few feet away from cell towers for the rest of our lives. Wi-Charge, an Israeli startup founded in 2010, is the best-known startup using lasers to recharge your phone. They’re infrared lasers, so they depend on line of sight, and efficiency across distances is reasonably high. So long as you have your phone out of your pocket, and within sight of the transmitter, it will charge continuously. The health risks, though, are a bit concerning. Traditionally, infrared light is found in industrial settings — steel mills, textiles and paper and glass manufacturing — so infrared exposure is generally regulated as a part of occupational health. Infrared lies between microwaves and visible light on the EMR spectrum, where the waves are imperceptible to humans, but have enough power to damage tissue like the skin and eyes. Much as a focused beam of sunlight — say, a magnifying glass and an ant — causes burns, focused infrared will burn the skin. Luckily, we can usually sense when our skin is overheating and take steps to avoid it. The same isn’t true of our eyes. Focused infrared gradually raises the internal temperature of the eye, essentially “baking” it, without us feeling a thing. Prolonged IR exposure leads to cataracts, corneal ulcers and retinal burns. Industry workers wear eye and skin protection with IR filters or reflective coatings to prevent damage. Wi-Charge hopes to prevent this by interrupting the infrared beam as quickly as possible, when something — say, a user’s head — blocks line of sight. In theory, that prevents enough IR from ever hitting any part of a person for long enough to cause significant overheating. But we’re talking about a beam as strong as the one produced by a standard 5W argon gas ion laser — all just to charge a single phone. Are there any side effects to having that kind of beam aimed near our heads all day, every day? The ICNIRP (International Commission on Nonionizing Radiation Protection) notes that even without burning the skin, long-term IR exposure can cause skin hyperpigmentation, scaling and telangiectasias. How much are we willing to risk permanent head and neck skin damage in pursuit of a continuous charge for our phones? Also, given line of sight issues, infrared is unable to supply power to embedded devices — whether in the body, within the walls, in everyday household objects or in our shoes. In powering the 50 billion devices of IoT, infrared charging can form only part of the solution. At the moment, the only ultrasound-based charging startup is uBeam. The piezoelectric transducer, as used in medical ultrasound, transforms an electrical signal into ultrasound waves and vice versa. uBeam is exploring ways of focusing that ultrasound energy to make it both practically efficient and longer-range. Based on scientists’ traditional understanding of ultrasound, it hasn’t been practical to use ultrasound to transfer energy. Because ultrasound waves are absorbed at each interface (particularly between air and solid matter), it’s far less capable of reflecting off surfaces than RF. Thus, ultrasound has limited range and fewer pathways to the target receiver. There are a couple of potential research pathways uBeam may have taken to make this more practical — but in the interest of preserving its intellectual property, uBeam’s not talking. uBeam has shown demos of charging a smartphone, with a prototype piezoelectric transducer case, from between 2 and 6 feet away. The rate of power transfer and its efficiency are still unknown. One big question is how uBeam focuses its ultrasound beams — especially as it attempts to increase the range — and whether that might result in similar side effects as the high-intensity focused ultrasound used to destroy tumors. Focused ultrasound generally results in cavitation (formation of microbubbles, that oscillate, grow and eventually implode). The collapse of these bubbles results in a shock wave and jets that mechanically damage human tissue. At higher intensities, this effect is entirely unpredictable. The FDA approval cycle may be a bit complex. Finally, there are cases that harvest energy from phone RF emissions or from the air around you. Because that RF signal is involved in your phone’s WiFi or 4G data transmission, these cases have to be selective about how much RF signal they harvest, and when. Otherwise, it might be a bit like putting your phone inside a metal box. Also, the amount of energy harvestable from your phone can only extend your phone’s battery by 35 percent at most, since the majority of your phone’s energy is still expended on the screen, audio and processing power, and as wasted heat. Regulatory issues are the biggest hurdle for most wireless charging startups. Whenever you’re passing large quantities of energy through the air, you’re bound to hit the people who occupy that space. Based on its track record, the FCC is likely an easier regulatory agency to face. It generally provides a “yes,” “no” or “wait and see” in short order. The FDA, on the other hand, has a strong tradition of years of applications and studies to gain its approval, which is definitely understandable as it’s ensuring the health of people around the world. Because many wireless charging technologies bear either controversial or recognized health risks, it seems reasonable that the FDA might take a greater interest in these approvals over time. The next biggest issue is the “chicken and the egg” problem (i.e., the go-to-market hurdles). For adoption of a new wireless charging technology, you need both 1) phone manufacturers to adopt the receiver, and 2) consumers and venues to adopt the transmitter. At any one time, a manufacturer will likely select only a single wireless charging technology to adopt — and convincing consumers and venues is much more complicated. Mobile apps and operating systems’ power usage continues to rise, outpacing the gradual improvements in battery capacity. That’s a tough proposition, especially when you’re already facing the complexities of developing a new technology and shrinking it for production, the regulatory hurdles and the very high marginal costs of producing completely new hardware in small batches. Then there are the “joys” of trying to sell to manufacturers, consumers and businesses around the world a product that doesn’t quite exist yet. To date, Powermat is the only wireless charging startup that’s taken a stab at solving the chicken and the egg problem — by co-founding the PMA, recruiting manufacturing partners, moving from prototype to large-scale production, creating a long line of consumer products (with somewhat limited success) and partnering with Starbucks in several hundred pilot venues. It has taken Powermat 9 years to get to this point, and they’ve spent much of their $250 million raised to date. Given the high costs of venue hardware and installation (ripping out and rebuilding countertops late at night), it’s been difficult for them to expand into more venues — and they have yet to find a viable revenue model for their wireless charging network. At the end of last year, the CEO of Powermat resigned. The new CEO and board are now working out where to go from here. Learning from Powermat’s cautionary tale, all the other wireless charging startups have moved solely to a technology licensing strategy, looking to third parties to solve the chicken and the egg. All except uBeam, which is gamely rushing onward in the footsteps of Powermat — except with a less-proven technology, fewer industry ties, more regulatory risks and far less money. It remains to be seen how successful they’ll be. For now, everyone talks about the competition between PMA and Qi, but that’s only because there’s nothing else on the market. Wireless charging isn’t like Betamax vs. VHS, or Blu-Ray vs. HD DVD. It’s Netflix and Amazon Instant Video vs. iTunes vs. the CDs/DVDs that we used to think we needed to own. At the end of the day, unless resonant inductive coupling achieves massive improvements in cost, efficiency and range, one or more of the other technologies will take over. The key to riding the wave is to stay as technology-independent as possible. No one knows which new technology might overcome its regulatory hurdles first and make it to market — or exactly when that might happen. Recognizing this reality, the PMA recently expanded its purview from inductive coupling to RF and signed Energous on as a partner last December. As Apple has shown, it’s more cost-effective and less of a headache just to wait and see. To get widespread adoption, any technology will need the manufacturers, the venues, the consumers, a couple of years of intense marketing and a few billion dollars to cover installation costs. Unless you’re tied to a single technology, it’s not like this wave can leave you behind. Continuous wireless charging will come eventually — there’s no doubt about that. But there’s a good chance that the technology that brings it about is one none of us has even heard of yet. A startup that’s yet to be founded, addressing the shortcomings of the technologies that have come before. When technology’s finally good enough that it can get out of the way, that’s when it starts to change people’s lives for the better. Granted, we’ve got a long way to go. But isn’t it awesome to look forward to a future where batteries are purely used as backup? Where the very idea of “charging” goes the way of floppy disks, print magazines or (eventually) traffic from human-operated driving? Perhaps retiring each of these things involves some intangible loss to our collective history and culture. But we, for one, won’t miss the thought of charging — or battery life anxiety — at all. Please let us know your thoughts and questions in the comment section below.